She has been aware of her intuitive ability her entire life, but it wasn’t until her prophetic dreams of world events started manifesting that she made it her goal to help others by utilizing her gifts. 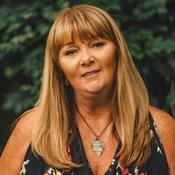 Jeanne Clock is a multi-gifted psychic intuitive and automatic writer. She specializes in Career, Love, Past Life, Channeling and Mediumship. As a spiritual healer she acts as a channel for His healing energy. She also has the unique ability to assist spirits in crossing over and has assisted hundreds of spirits to the light. Jeannie is always wonderful to speak with, warm, friendly and able to provide quick insight. Thank you. She’s amazing! She is warm and kind hearted and her feedback was very accurate. She’s a medium and a psychic. She knows her stuff. I recommend her. I will be calling again. 5 stars!! You can feel her instant connection and genuineness. Thank you Jeanne. My group "Of The Highest Realm" consists of dedicated 5-Star professional advisors who care about their work and offer insight from the highest realm. E-mail readings available for $40. Jeanne Clock has been a user of Keen since 2007. Getting Psychic Mediums advice from Jeanne Clock through www.keen.com is safe, secure and confidential.